Now when it comes to Trick or Treating it’s very important to take something with you to collect all of the candy in. Now to be perfectly honest if I had been able to go trick or treating when I was a child then I’d have been quite happy with a shopping bag as long as it was big enough! There are lots of cool pails to choose from as well as bags, personally the reusable canvas bags are great for going trick or treating with and as a parent I know they’ll fold away nicely for next year. Sometimes though the children want a special pail or bucket because it’s licensed with one of their favorite characters or because that’s what their best friends have. 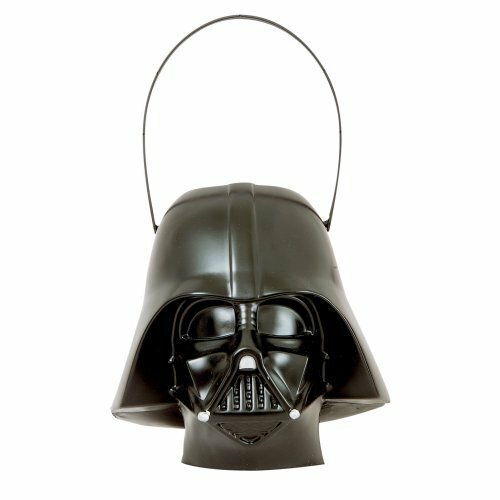 There are some really cool trick or treat pails available and my daughter used to like a bucket as opposed to a bag because she found it easier to swing it as she walked (or sort of skipped) between houses! The other option is to get a licensed pail or one that matches whatever costume your child is going to be wearing there really is a trick or treating pail to suit everyone. Now if your child is anything like I was as a kid then I didn’t care what I collected the candy in I just wanted the sweet stuff, if that’s the case then I recommend a canvas bag. Now there are lots of cheap plastic trick or treat bags available, but if you want to get something you can reuse over several years then, personally, I think canvas is the way to go. Another great thing about these canvas trick or treat bags is that they can be personalized which some kids absolutely love.